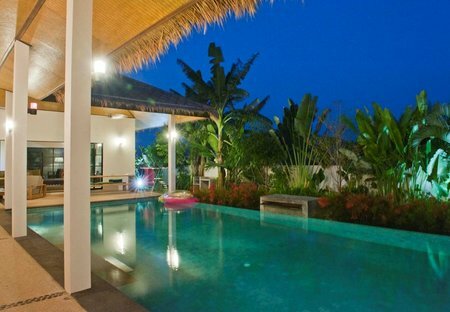 Rent villas and apartments in Prachuabkhirikhan, Thailand with private pools. Book affordable holiday rentals that are near a beach and golf course. First-rate apartment in secure condo with views over the Gulf of Thailand. Beautiful gardens, 1.5 km from long sandy beach. Balcony spanning the length of the property overlooks large communal pool. 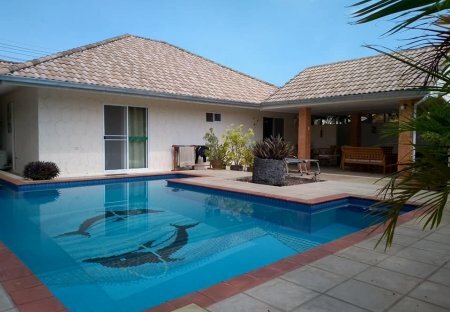 Large 3 bed, 3 Bath pool villa in amazing Thailand (Hua Hin) with tropical gardens and a large 20m pool located in a closed condominium with 24 hours security. House Area: 270 M2. Stunning lakeside colonial-style residence set in the renowned Palm Hill Golf and Country Club. Quiet and private setting. Short distance to beach and amenities. You cannot beat being king of the castle, gazing at sea views from your penthouse rooftop pool . This quaint 1 bedroom townhouse is in the heart of Hua Hin and only a 5 minute walk to the white sand beaches. If you love to shop, another short walk will bring you to Village Market or Grand Market.